The snapper schooling season is now well underway. 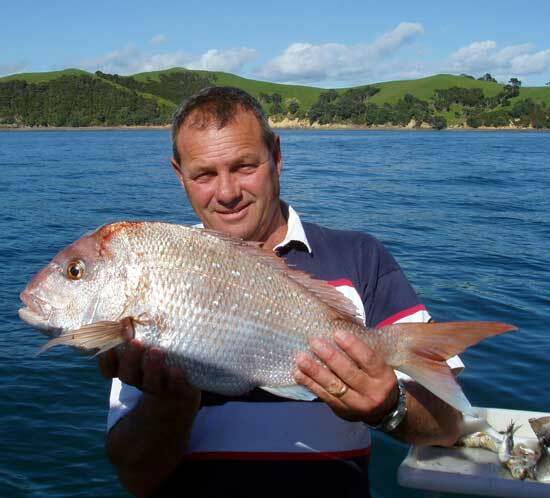 Excellent catches are being reported from North Cape to the Bay of Plenty. 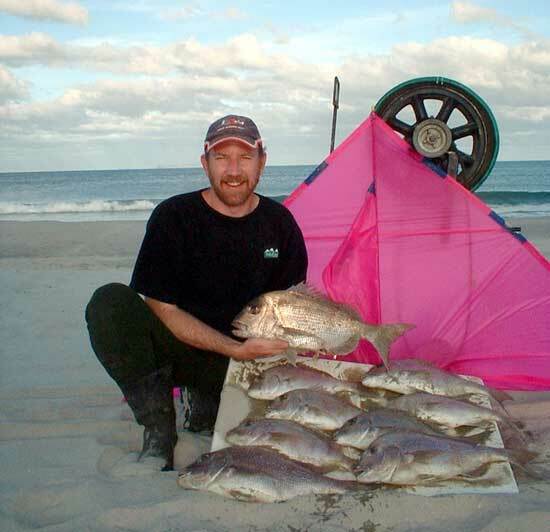 Kite fishing from Uretiti has been exceptional with consistent catches of snapper by those using squid or octopus for bait. Those using fresh kahawai, mullet or trevally baits are catching just as many snapper and have the bonus of catching plenty of big gurnard as well. The gurnard are very easy to catch and can be taken at any time of the day while the best snapper fishing is during change of light, at night or on cloudy days. At change of light the snapper can come in very close so it is not necessary to fish the full 1000 metres out. I got my new nighthawk kite and set out to give it a try from Uretiti on Friday afternoon. The wind was a moderate sou'westerly, the sea calm and the tide was falling. I was amazed at the power of the new kite after using the flexiwing kite. My line set briskly straight out. The first set returned two snapper and a kahawai. I quickly filleted the kahawai and used it for bait on the second set. The line had just got out full distance when the wooden dowel safety spar broke in the strong wind and my kite came down. I decided to leave it out for 30 minutes anyway to give it a chance to catch some fish. The line was pretty heavy winching in, I assumed it was the drag from the kite, even though I did have floats fitted. As my line was getting close I saw the telltale swirl of the water. Great I thought, looks like some good fish! To my delight, I had caught another eight snapper, the smallest was put back. I was almost disappointed that I had my limit so early, I was having so much fun. Can't wait until my next trip. Landed another beauty, this one weighed in at 11 lb. and was caught early Wednesday morning on a Paul fishing boat long line. Conditions could not have been better and for a Wednesday there was a surprisingly large number of boats out. Our first set produced seven good sized snapper plus two undersized which were returned for another day. Kitefishing during the day at Orewa has been slow but good snapper are still being taken at change of light and at night. We recently had a report of an old lady intentionally cutting a kite longline rig with a knife or scissors. The unfortunate fisher lost his kite in the incident so keep a lookout if you are fishing in the area. I would suggest you call the police if you have any problems and let them sort her out rather than taking matters into your own hands. Orewa gets very busy over the holiday period and is best fished at night over the next couple of months to avoid conflict with other beach users. It was a perfect evening for a fish so we drove up the beach 500 metres, set up the kite, baited the hooks and sent them out to do their job. We put the reel down by waters edge and pushed it into the sand then sat down with a cold beer while watching the gannets feeding. Twenty minutes later my lovely wife says Mark! As I looked up I could see my reel bouncing into the water, I chased after it but never even got close. How could I have avoided this mishap and what might have caused my precious kite to take off? Could a stingray pull the reel out of the sand? Ed: Sorry to hear about your mishap. I think you may not have had the reel post far enough into the sand and also I think it is unlikely to a have been a fish or ray that has pulled the rig from the sand. Peg and I fished Uretiti a couple of weeks ago and found the sand quite soft so we wriggled the post back and forth until the post was 18 inches or more into the sand Even though we had immense pull coming from the kite we were using the rig held for the day with no problems. Several kitefishers over the 15 years we have been making fishing kites have reported the same thing happening to them. Such losses can be easily avoided if you anchor the gear securely in the sand, put the protected line under the toe of the reel post and always keep and eye on, and stay close to the rig while it is set. If anyone finds this rig please send us an e-mail so we can get it returned to it's owner.